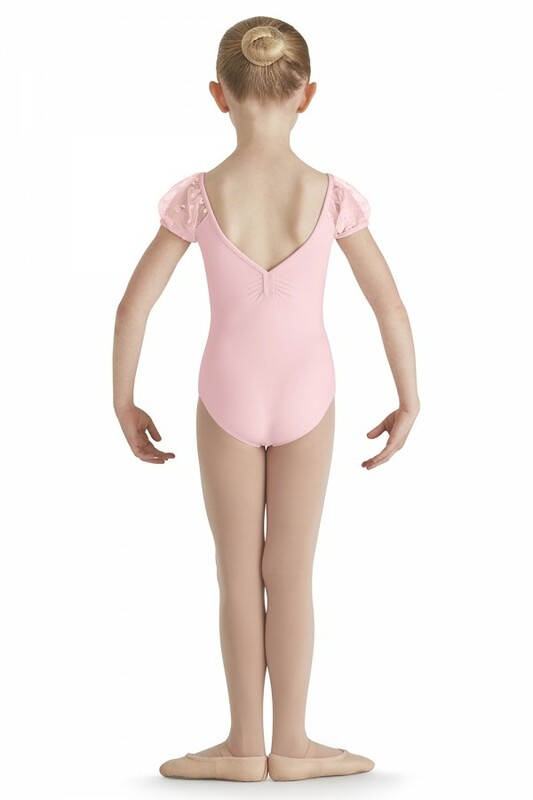 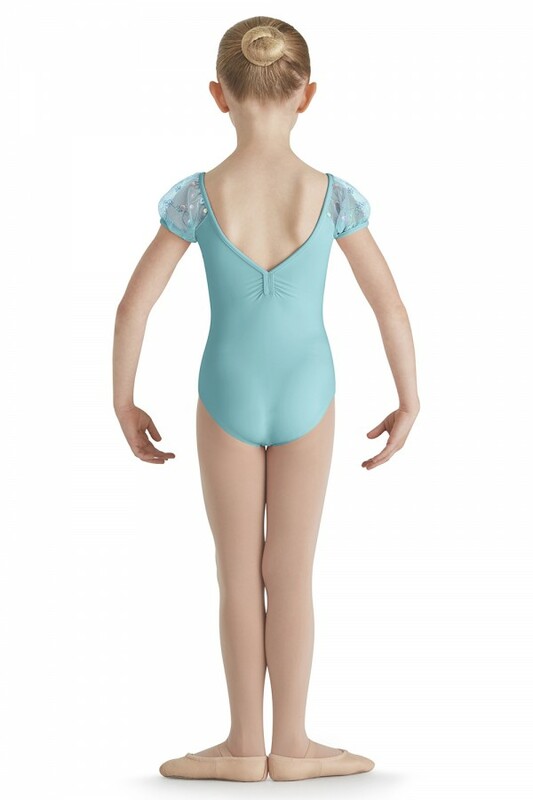 This puff sleeve leotard is sure to be your dancer's new favourite! 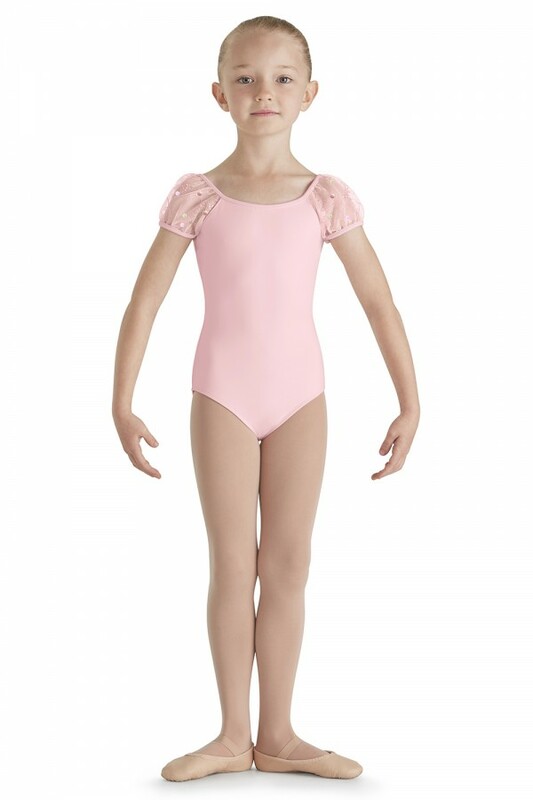 Adorned with flower embroidery and sequin tulle, it's the perfect match to complete your pretty little ballerina's look. Flower embroidered and sequin tulle puff sleeves sparkle and the pinched vee back sits beautifully on the dancer.